How to get there: See the description of Sikkilsdalshøa. Another alternative is to start from Besstrond about 5 km north on Hwy. 51. 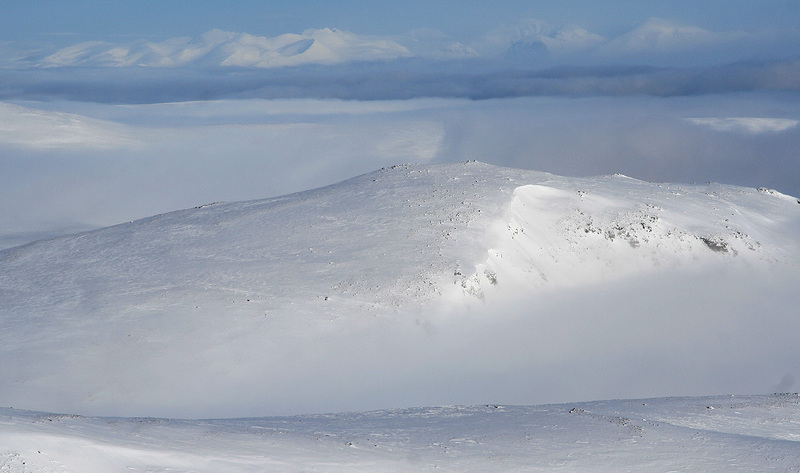 From here, one may ski directly to this summit. 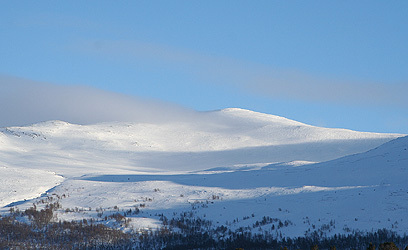 Route description: This peak is a subpeak of the Sikkilsdalshøa massif. However, with a prominence exceeding 150 meter, it is a pretty independent peak. As seen from Hwy. 51, it also looks quite separated from the Sikkilsdalshøa summit. 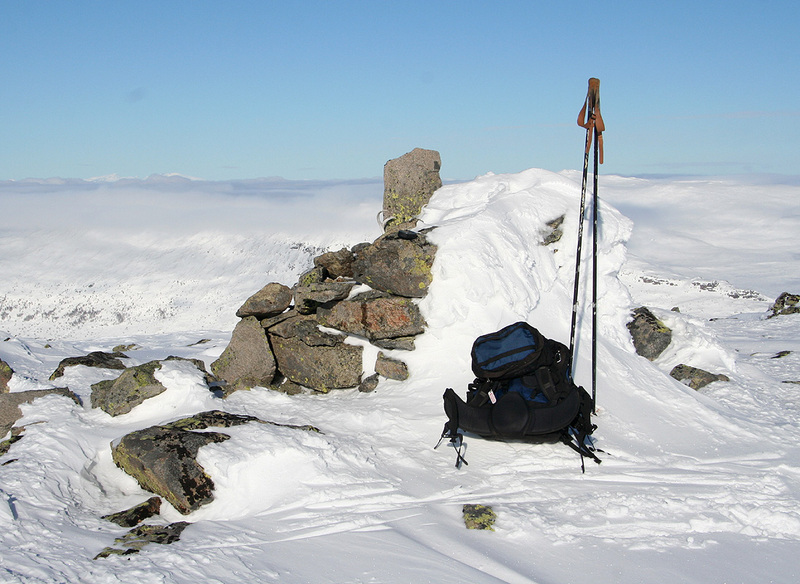 From the Sikkilsdalshøa cairn, ski north, then descend to the saddle near Gravdalsknappen. Continue a bit downslope as you contour around the north ridge of Gravdalsknappen, you should be approximately at elevation 1540 before doing this. Subsequently, climb the gentle slope of Ingulssjøhøi from its key saddle. Comments: The weather had unexpectedly turned very nice. I simply could not descend from Sikkilsdalshøa right away. 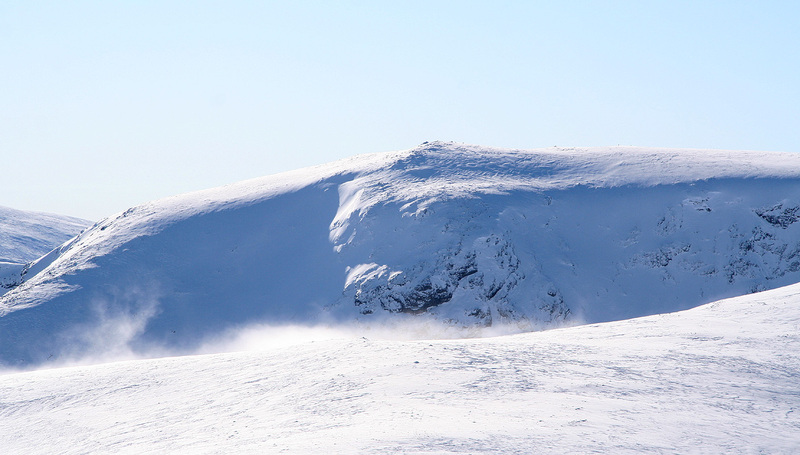 Therefore, I decided to explore a route across to this mountain thus making a tour of the Sikkilsdalshøa mountain.